JP Morgan’s third annual e-trading survey reveals that FX traders are most concerned about liquidity in the year ahead. The US investment bank’s third annual e-trading survey, which saw 200 of its largest institutional trader clients surveyed on market trends in 2019, revealed that a majority of 40% of FX respondents agreed that liquidity is the biggest daily challenge facing traders. In comparison, last year’s survey saw 29% of FX traders state that the availability of liquidity was the biggest daily challenge, with best execution requirements and precision of execution concerns topping the list for a majority of 37%. The survey also found most traders believe that MiFID II, which came into force in Europe a year ago, has had a negative impact on the global liquidity landscape. A significant 73% of respondents said that the liquidity environment is either slightly, somewhat or significantly more challenging under the European regulation. When it comes to selecting a liquidity source, just under three-quarters of FX traders told JP Morgan that price consistency is the most important criteria when considering potential sources, with 63% identifying availability during volatile markets as another key requirement. In terms of technology, JP Morgan’s survey revealed that FX traders are not convinced that blockchain will have a significant impact on the industry in the next 12 months, with just 9% agreeing the technology will shape the future of the trading. 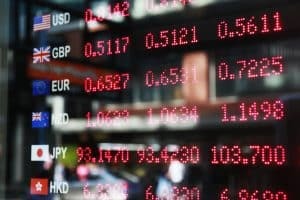 Artificial intelligence and machine learning technology, however, could have a much bigger impact this year, according to a large majority of 57% of FX traders. Mobile trading apps followed AI and machine learning capabilities, with 28% of FX traders stating they will shape the future of the industry.